Sad news as we here the veteran stage actress, Alice Drummond has died at the age of 88. 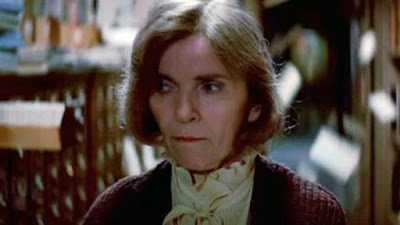 Ghostbusters fans will remember her as Alice the librarian at the beginning of the film. In the scene we see her doing her day to day library duties only to witness the first ghost of the movie and end up being traumatized as a result. The Ghostbusters end up interviewing her and asking some rather personal questions. She died on Wednesday at her home in the Bronx due to complications following a fall that she survived two months ago, according to the New York Times. Her first break into Hollywood came in 1967 when she landed a role on the ABC soap opera “Dark Shadows.” Later Drummond would appear on other soaps including CBS’ “Where the Heart Is” and a short stint on “As the World Turns.” She would go on to enjoy a healthy film and television career spanning more than four decades.